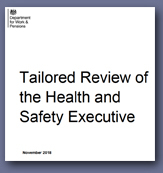 A new review, entitled the 'Tailored Review of The HSE' (The Smart Review), commissioned by the Department of Work and Pensions (DWP) has be published which calls on the HSE to "up it's game on safety inspections and prosecutions". It also challenges many of the changes that were forced on the HSE by the Tory/Lib.Dem Coalition and Conservative governments, making a total of 27 Recommendations. 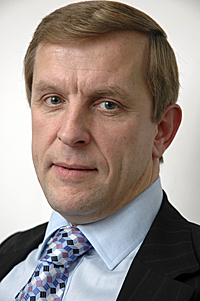 "The review is generally positive about the HSE but also makes a number of recommendations that will reassure a lot of those who have been concerned about the direction the HSE has been going since 2010 when the Tory/Lib.Dem coalition government instructed the HSE to stop all proactive safety inspections in the vast majority of sectors including the communications industry affecting Royal Mail Group and British Telecom Group amongst others, terming them 'Low Risk' industries which is nonsense and in came the so called 'light-touch' approach and deregulatory agenda, removing 'burdens on business'". The decline in Safety Inspections by the Regulators saw the highest decline in the local authority inspected sector where the number of pro-active inspections fell by 97 per cent between 2010 and 2016, and the overall number of inspections, including HSE inspected sectors fell by 65 per cent. Because of the fall in inspections, both prosecutions and enforcement activity fell as well. The TUC, CWU and all UK Trade Unions have campaigned and argued strongly that the move away from proactive inspections and enforcing authority staff cuts was a political move and not one based on evidence. The Unions also pointed out that the HSE approach to inspections was far more likely to find breaches of safety, where serious injuries have to be reported, rather than health. Proactive inspections continue to expose a material breach rate of 45-50 per cent, demonstrating the value of this form of intervention in removing risks from the workplace. This latest report calls on the HSE to address these points. It asks for inspection and enforcement to be based on evidence of the best outcomes and there is a recommendation that the HSE maximise the impact of interventions on workplace health which means focusing ever-strained HSE resources on what works to remove risks. Equally welcome is the proposal that the HSE should consider taking on more challenging prosecutions. This would include on areas that the HSE has shied away from in the past decade, such as work-related stress. The report also looks at the composition of the HSE board. The Tory/Lib.Dem Coalition Government and current Tory Government attempted to the alter balance on the board and reduce the Trade Union/workers voice by refusing to appoint trade union nominations to the board. The requirement for three worker seats has been under threat and only after a huge, high profile campaign by the TUC, CWU and other Unions did the government eventually back off after it had delayed advertising Workers Representative HSE Board Seat vacancies for 2 years. The tripartite structure of the HSE Board to be retained - involving Trade Union Seats and to avoid delays in filling vacancies in future. The HSE should enhance its interventions to maximise its impact on work-related ill-health. The HSE should take on more prosecutions. "These Recommendations support the views campaigned on by the TUC, CWU and others in recent years during which time the HSE and Local Authority Health and Safety Regulation and Enforcement have come under attack by the Government. The report recommendations are a strong reminder to the current Government that the HSE is there for a reason, which is to protect and improve the health and safety of workers and the public by enforcing Health and Safety Laws - and it is NOT a commercial organisation chasing profits."